Larynx Lava is a journey for your tastebuds. 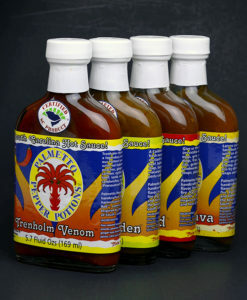 Red Habaneros are kissed with an afterglow of tangerine, ginger and fresh herbs. 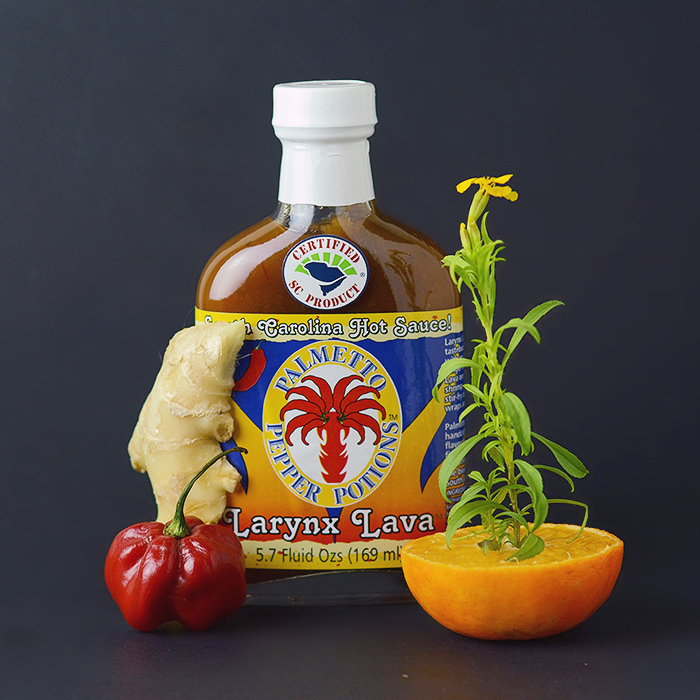 Try Larynx Lava on grilled scallops, crab cakes, shrimp, chicken, veal, pork, sushi, stir-fry dishes, cheeses, vegetables, wraps and sandwiches. Larynx Lava is handcrafted to the music of <a target=”_blank” href=”www.markkano.com”>Mark Kano</a>. Pineapple, red habanero peppers, fresh onions, fresh ginger root, fresh garlic, distilled vinegar, fresh lime, fresh tangerine, fresh orange, fresh herbs, honey, seasonings, spices, citric acid, xanthan gum, kosher salt. Larynx Lava is a journey for your tastebuds. Red Habaneros are kissed with an afterglow of tangerine, ginger and fresh herbs. 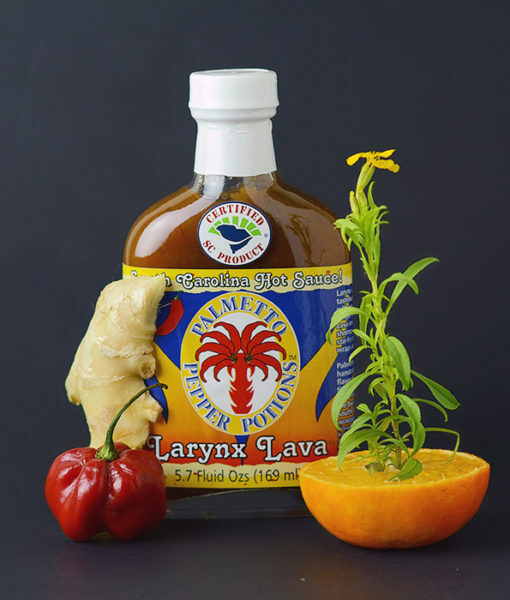 Try Larynx Lava on grilled scallops, crab cakes, shrimp, chicken, veal, pork, sushi, stir-fry dishes, cheeses, vegetables, wraps and sandwiches. Larynx Lava is handcrafted to the music of Mark Kano.